Co-operative corporations are an important part of Ontario’s economy and serve the needs of their members in communities across the province. Ontario's non-financial co-operatives are regulated by the Ontario Co-operative Corporations Act. The Financial Services Commission of Ontario (FSCO) – an agency of the Ministry of Finance – administers the Act and registers organizations conducting business as a co-operative under the Act. As of April 1, 2019, FSCO will be disolved and the administration and regulation of co-operatives is yet to be determined. The Act came into force in 1974, and has never been subject to a full legislative review. As a result, the legislation has not kept pace with other business statutes in Ontario. It requires modernization to more accurately reflect the current economic climate of co-operatives in Ontario. For this reason, OCA and CCO have been lobbying the Ontario government to review and update the legislation affecting non-financial co-operatives for a number of years. 1. Updating the 40-year old Act to align our audit requirements with accepted accounting principles. 2. Updating the 40-year old Act to remove the requirement to conduct 50% of business with members. 3. 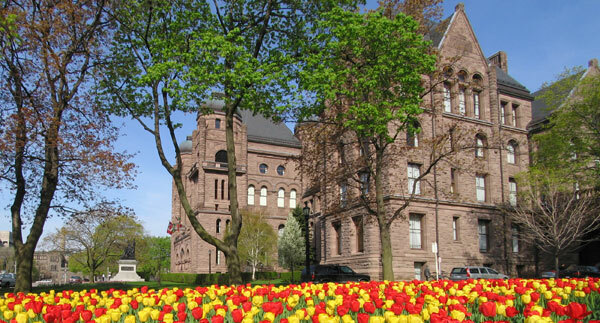 Ontario co-operatives require an increase to exemption thresholds for offering statements. These thresholds were last reviewed more than 25 years ago and are inadequate for modern co-operatives to raise the required capital required for their businesses. Read our January 2019 Pre-Budget Submission to the Ministry of Finance to learn more about the recommendations. Learn more on the status of our recommendations.